For those that are looking for South Carolina expungement, you have come to the right place. For people that have gotten into a little trouble in the past, but want to move on from that time of their lives–this can be priceless. There are kits available to you that include absolutely every form and other aspect needed. You do not even need an expensive attorney! For those that simply need these details to go away at an affordable price, kits are perfect. Everything is included in one fee, which tends to be far less than you would spend working along side an actual attorney. 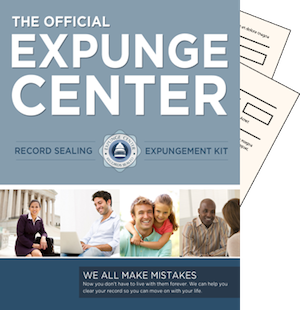 Affordability is not the only benefit when you expunge record in South Carolina using a kit. Imagine filling out legal forms and not being legally obligated to tell them about trouble that happened to you many years ago. A lot of people have issues from different times that make negative impacts on their future. Why not take that ability away by seeking the sealing or expungement of the records? There are little differences between the two. If it is completely expunged, only a court order can clear the pathway to getting that information. If it is sealed, it is simply hidden away from the public. There are certain types of agencies that can get into that information. There are many perks to acquiring a kit. It does not matter whether you hire an attorney or you simply pay for a kit, because it does not expedite the process. That means that you can save a great deal of money by not paying for a professional to “advocate” for you. Nothing is forgotten, either. Every form that you need to fill out is provided for you. You will not have to worry about whether your hired help will get the forms where they need to be. You will not have to worry about forgetting little details throughout the extensive process of attempting to expunge. Everything is taken care of provided you have a record that is non-violent. Think about how easy and convenient it can be to simply quietly make a non-serious offense disappear from your record. If you go in this direction, you will not have to worry about people judging you for something that doesn’t negatively impact the bigger picture. Many people struggle with legal issues when they are younger and change their lives once they grow up. This option makes it much easier to let those mistakes go, as you will not have to worry about potential employers judging you based on them. With the ease that this type of kit provides, it also provides a peace of mind. This peace of mind is priceless. Clear your criminal history with very little work and expenses. It is a win win for everyone involved.